Please select a date of play to check availability on Salgados. 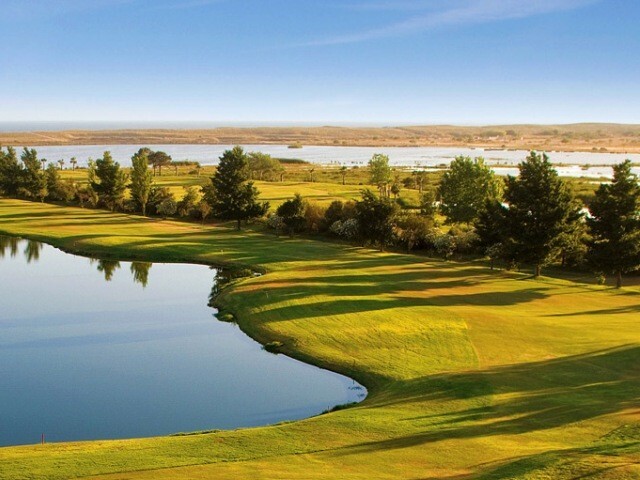 It would be fair to state that the Salgados Course can be compared to most Links course as it is set on flat land behind a sandy beach. 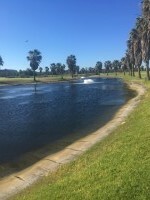 There are many water hazards and the open environmental nature has the added asset of the great Algarve climate. 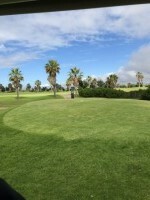 As the Salgados Course is very subject to the elements with little vegetation a considerable amount of technically skill in play is required to obtain a good round. Green lush warm and great!! 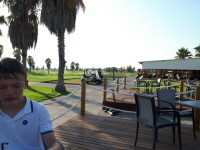 First 18 hole course played abroad. Was great! Weather and quietness of course was brilliant. Fantastic facilities and staff!! Really enjoyed it!! My son really did 14yrs and with his hcap buried me!! Great price for a well looked after course. Fairways are mostly narrow and there is a lot of water about - still made for a good round and makes you think. A great test, good mix of long and short holes, a lot of dog legs but fairways wide but beware, water is every where... take plenty of balls!! 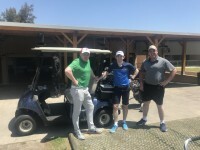 To post a review, score or a notice on Salgados page's or to connect with other Salgados golfers, please log in to your account or sign up using Google or Facebook.